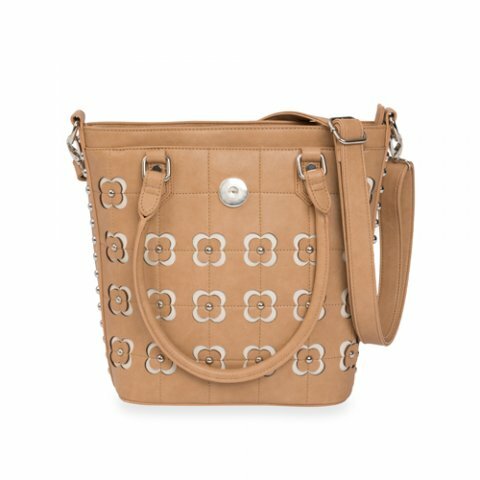 Flirty cutout flowers in a neutral palette parade across the front of the Floral Tote, and the floral theme is continued on the lining inside making this the perfect choice for just about any outfit or season. 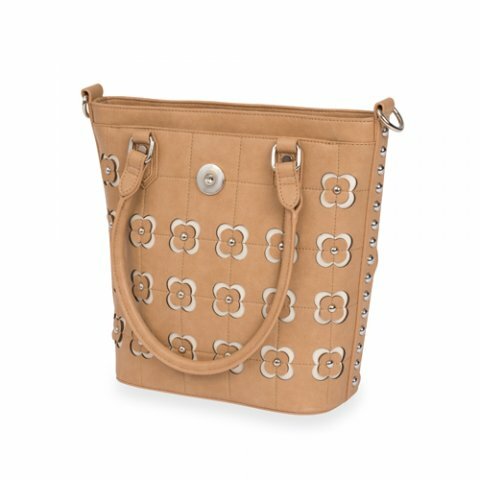 With two pouch pockets and one large zippered pocket for smaller items, this tote can neatly hold all your essentials. 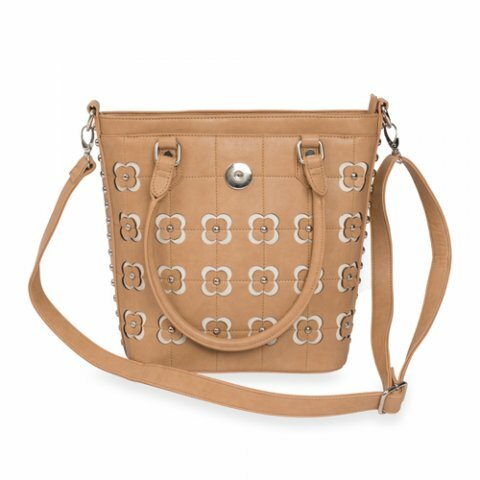 Metallic studs form the centers of the flowers and also cascade down both sides of the tote for even more decorative detailing. Handles and a removeable and adjustable shoulder strap give you different carry options. A perfect match for our Floral Hip Bag this makes a great companion piece for your handbag collection. Removeable and adjustable shoulder strap included.